Batman v Superman Reviews - What Did You Think?! Warner Bros. Pictures‘ Batman v Superman: Dawn of Justice is now playing in theaters worldwide and we’ve created this spot for you to tell us and your fellow moviegoers what you thought about the Zack Snyder-directed film, starring Henry Cavill as Clark Kent/Superman, Ben Affleck as Bruce Wayne/Batman, Gal Gadot as Diana Prince/Wonder Woman, with Amy Adams, Laurence Fishburne and Diane Lane returning from Man of Steel, joined by Jesse Eisenberg as Lex Luthor, Jeremy Irons as Alfred, Holly Hunter as Senator Finch, as well as Scoot McNairy, Callan Mulvey and Tao Okamoto. Write your Batman v Superman reviews in the comments below! What did you think?! Let us hear your Batman v Superman review! 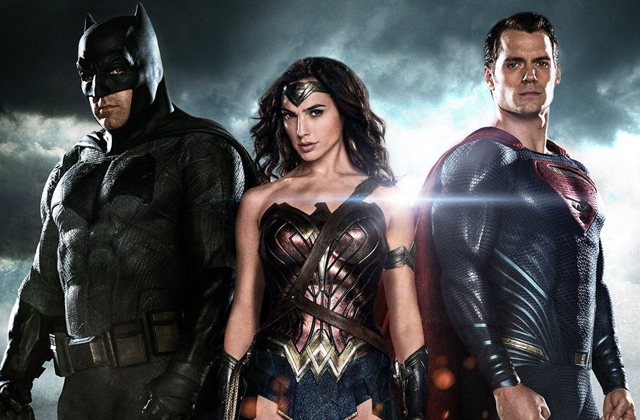 Tags: batman v superman: dawn of justice, Reviews, What Did You Think? !